The weekend, 15-17 April, the coding competition CODEFEST, took place in Ohrid, Macedonia. In those two days, 32 teams gathered from different countries like United Kingdom, Kosovo, Romania, Serbia and Macedonia and successfully ran the coding marathon with 32 hours of coding starting on Saturday until Sunday afternoon. Right after the day&night of coding and not having any sleep for 32 hours, the teams presented their prototypes in front of the jury. 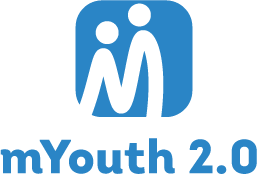 Mladiinfo as one of the partners of the event provided two awards to the best social impact mobile applications within the intercontinental mYouth project. The awards have been given to “Dream Killers” – Cooking and Sharing Food, and “Bits Please” – health & nutrition. Furthermore, the awards are for attending the Mobile Android Application Acceleration Camp organized in Skopje 20 June – 14 July in partnership with ten other organizations worldwide. Additionally, both teams, “Dream Killers” and “Bits Please” will automatically attend the EUROPEAN YOUTH AWARD.